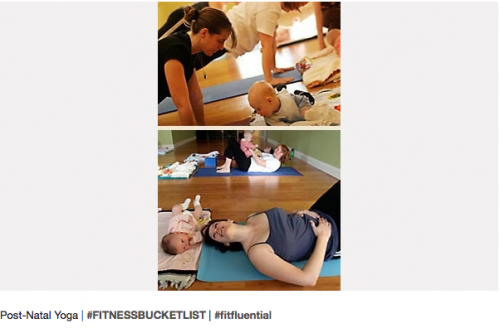 One of my goals for this year is to start post-natal yoga at Evolution at six weeks postpartum. The great thing about this class is that I can bring baby with me from 6 weeks until they start to crawl! 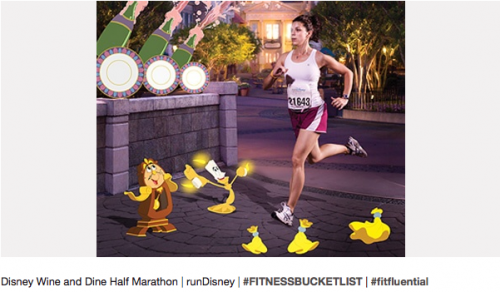 Run/Walk the Disney Wine and Dine Half Marathon. I know, I know – I have a whole blog post written about this goal and I am sure many of you are saying um whattttttt? 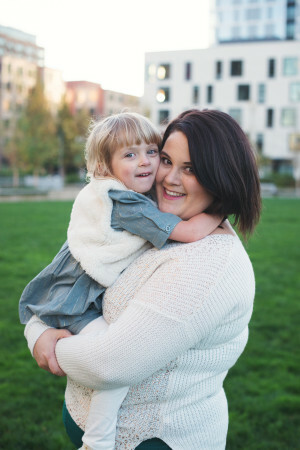 You are having a baby in July and this race is in November. Don’t worry my expectations are low, like lower and than low, but we’ve already deferred to this race and so might as well try. Neil and I would love to run the VCM as relay partners in the next few years. He ran the first half this year and really wants to do it again! 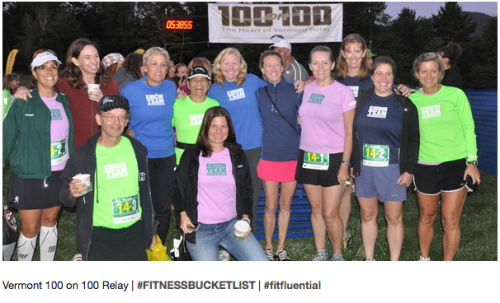 The Vermont 100 on 100 is a 100 mile relay race that is on Route 100 (guess that’s where it gets its name?) in Vermont starting at Trapps and ending at Okemo. Over the past few years Neil and I have witnessed the runners and I have always been inspired by the race. The race route is beautiful and I am sure amazing to run. Neil and I almost signed up last year when a few friends wanted to start a team but ultimately decided that we weren’t prepared to run that many miles and it would probably be a bad idea so our goal of running the 100 on 100 on a team together has been put on the back burner at least for another year or two. 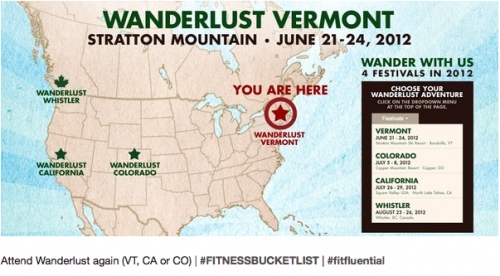 I would love to attend Wanderlust again in VT, CA or CO or even Whistler would be amazing. 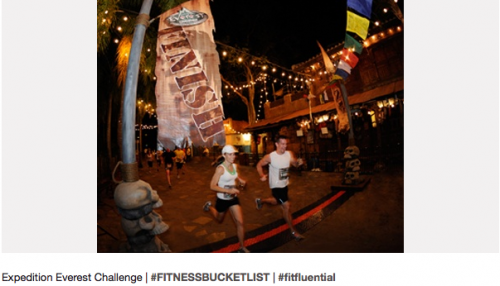 This is one of Neil and I’s big running goals to do- I would love to do the one that goes to Key West. I can always use an excuse to go to Disney and what better excuse than a race that both Neil and I want to do? This is a long term goal that Neil and I started a few years ago. We have been trying to hike a little bit of the The Long Trail each year (unfortunately not this year- or at least no plans to yet anyways). Neil is the hiking lover and I’m in like with hiking but this would be an amazing goal to accomplish. 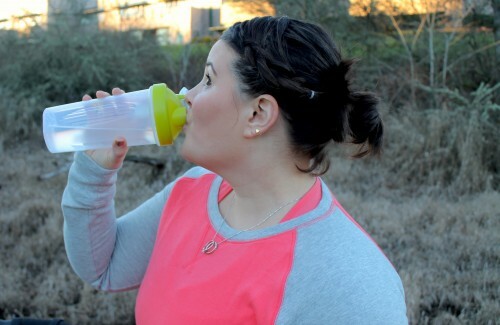 What is on your Fitness Bucket List? 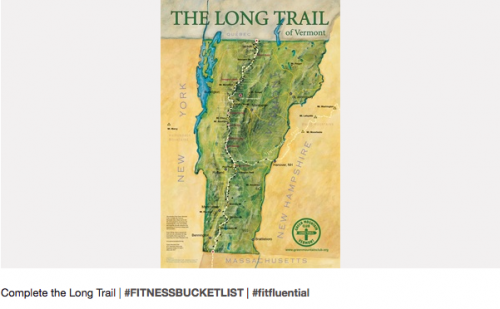 Have you started a Pinterest #Fitnessbucketlist board? If yes, link below!